The development of urban infrastructure within Kenya is being associated with advancement in ICT. 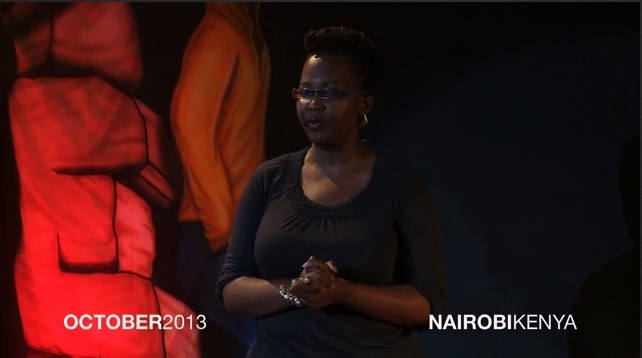 This can be seen with forums such as TEDx Nairobi in 2013 focusing on design systems. An important talk in this regard was given by Njoki Ngumi, a nomadic doctor who discussed the usage of technology in navigating difficult social issues. Decent progress was made last year in this category with the development of a decision support tool applicable at the district level within Kenya. The idea in such development is that remote connectivity is being enhanced to have larger community based benefits. The District Health Profile Tool uses data integration techniques, which would enable district health management teams to monitor the success of policies being implemented. This form of ICT intervention means that the local government can make informed service delivery decisions. Most importantly, areas affected by HIV and related diseases can be better addressed. Enterprises within Kenya and East Africa have largely benefited from globalization. Recent IT trends, especially those related to quality data access, are bringing a positive change. According to a post on Simple Help’s blog, there are three main aspects involved in creating a data management system that can be used for decision support tools. These aspects include simplicity, robustness and the ability to update as needed. The notion of robustness is important since remote setups allow decision support tools to be independent from any system or environment dependencies. This leads to an optimized model, something much need by enterprises within Kenya. The optimization part is important since enterprises often allow data to linger without utilizing it efficiently. Currently, the technology of decision support within Kenya is being used to some effect within the health care industry with respect to data dashboards, health summary bulletins and health status report cards. Before the District Health Profile Tool was developed, a decent alternative existed in the form of APHIA II Evaluation Project. It was launched in collaboration with U.S. and built a rudimentary health information system with an approach towards data informed decision making. The project has been comprehensive and includes noteworthy bodies such as the National AIDS control council and the Ministry of Health. Also, the technology adopted in this project involves disease data surveillance and generating medical human resources well-equipped for IT healthcare. District Health Profile Tool has taken one step ahead and is focusing on better data aggregation and interpretation. The technology profile of the tool allows remote access from anywhere in the globe. This means that health enterprises and the local health bodies can take help from international professionals. Secondly, this tool operates in a question application format. There are 11 fundamental questions generated regarding healthcare facilities related to HIV positive community. This leads to an improved decision review system. The data aggregation is managed from spreadsheets, upon which the tool performs complex analysis, reducing human error. The notion of decision making and remote input goes hand in hand because it enhances the overall functionality of an ICT unit. The District Health Profile Tool described above can also act as an area of inspiration for people in the non-health industry to look at similar solutions in areas such as education. Future perspectives can look at more extensive data mining and continued exploration of how the Kenyan tech community and related enterprises can benefit from remote services.